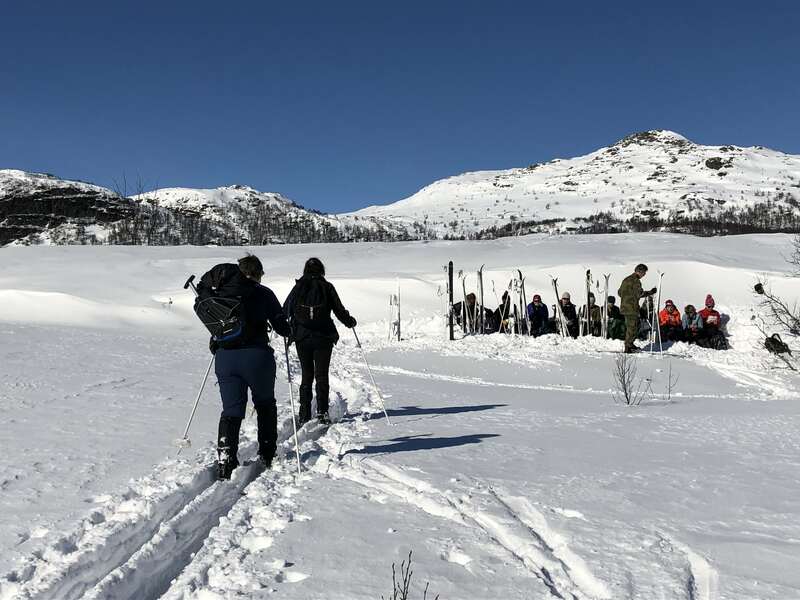 Ex VIKING CHALLENGE was a Nordic skiing exercise which took place in the Telemark region of Norway between 15-24 March 2019. The aim of the exercise was threefold: First, to research and understand the historic FANY connection with Op Grouse and Op Gunnerside during World War II. 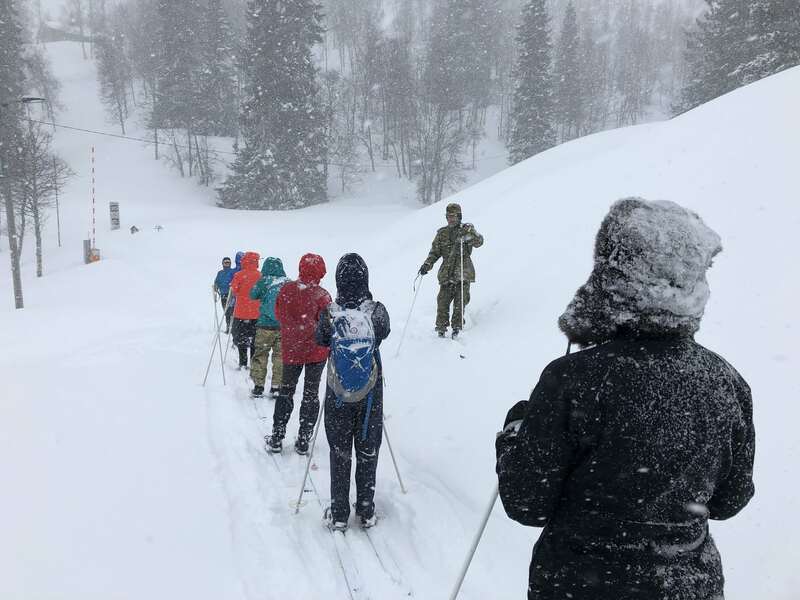 Second, for the 15 participants to learn to cross country ski in order to be able to retrace part of the route of the SOE saboteurs in February 1943 when they went in to destroy the Vermork heavy water plant. Lastly, to forge links with the Norwegian Reserve Officers’ Federation. The expedition took eighteen months to plan and was divided into three strands. These were: Establishing contacts with the Norwegians through the British Defence Attaché, the Norwegian Attaché, and then the Norwegian Reserve Officers’ Federation (NROF). Next, research had to be done on the history of the raid, including the FANYs’ part in it, as they provided vital communication links to the SOE agents during the two operations; as well as running the safe house used by the agents prior to deployment. Some of our veterans told us their stories of the parts they played in the operations. Finally, for the members, there was personal fitness training with weekly fitness sessions and individual tailored training programmes. As part of the fitness preparation, members undertook a roller skiing course in London. After an initial night in military accommodation in Oslo, our NROF contact, Morten Wroldsen, arranged military transport to take us on the three hour journey to Rjukan in the Telemark region. As we neared the town, we passed the ferry port on Tinnsjøen Lake where the second raid took place – the original railway carriages were still present by the port. That first afternoon, we arrived at the Rjukan Fjellstue lodge, where we met our guide, Ragnar Sør Olsen. We were kitted out with military boots and (unwaxed) skis, and had fun testing them up and down the car park, before progressing to a short track. It rapidly became clear that we had a lot to learn! Up early the next morning, we discovered that 300mm of snow had fallen overnight, and it was still snowing hard. Undaunted, we waxed our skis before fighting our way into our ski bindings and setting off, cutting our own tracks through the deep snow. Everybody really enjoyed it, despite the very hard work on the arms and a few spectacular falls were taken. Incredibly, we managed a couple of kilometres. Early lunch became necessary to restore energy levels, before we went out again to attack a more challenging path, where we reached the point at which we joined the saboteurs’ route in Hjerdalen. During the afternoon, the weather deteriorated and, taking our guide’s advice, we returned earlier than planned. That evening, we had lectures on winter survival, including avalanche avoidance, types of snow and how to prevent cold injuries. After a traditional Norwegian stew supper and a decent night’s sleep, the second day dawned with brilliant sunshine, bright blue sky and sparkling snow. 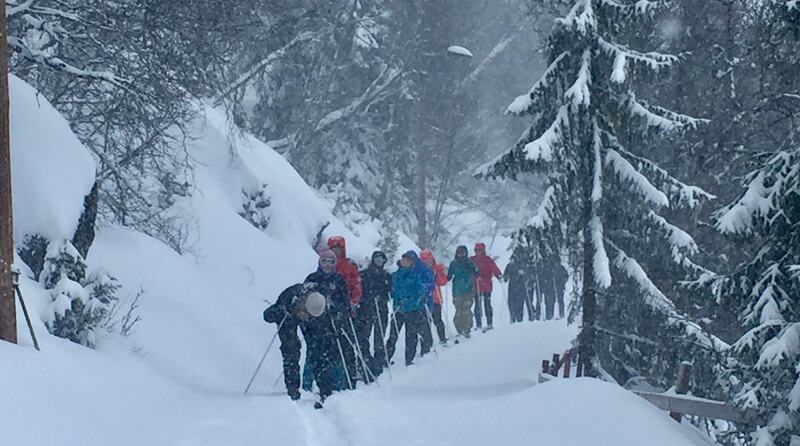 Re-energised, we set off for a day’s skiing, taking show shovels and emergency equipment with us. We managed a good 5km, much faster than the previous day, and everybody’s skiing had improved vastly. Using our shovels, we dug in out of the wind for lunch, dressed numerous blisters and repaired a broken binding. Reversing our line of route, we returned faster, and in fine style, in the most beautiful conditions and perfect snow. 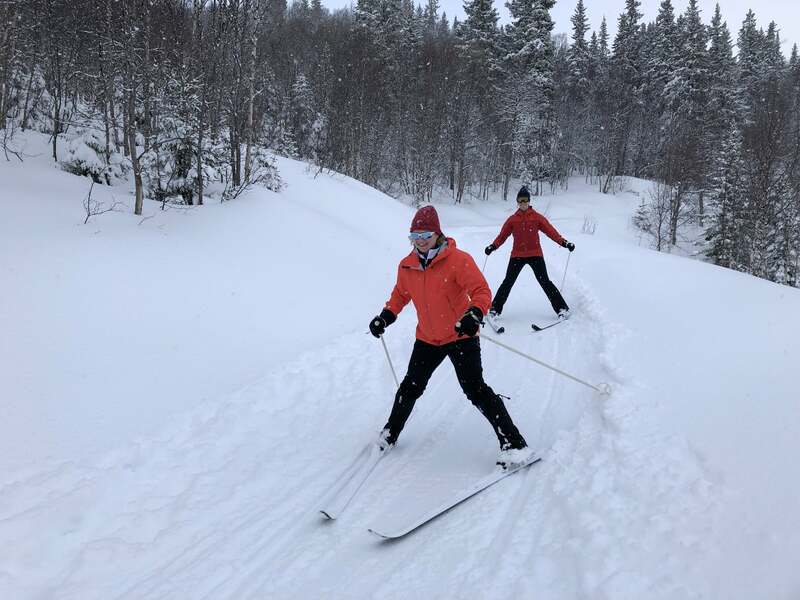 Despite us all having only been on skis for two days, it was decided, due to the weather forecast later in the week, that our only chance of completing the entire circuit was the next day. We woke up slightly apprehensive about doing the full 18 km circuit; however, we set off promptly in order to take advantage of the daylight and good weather. Our route involved going uphill for the first 7.5km, including several hard and steep climbs where our newly-acquired hill climbing skills were definitely tested to the limit. Norwegians we met en route were astonished that the group was attempting the full circuit after only three days on skis. The uphill climb was made easier by the views, and our technique was improving without us realising it – gliding was fast becoming the order of the day. When we reached the plateau, close to the top of the Midtfjelt peak, the landscape changed to significant downhills among ice fields. On military skis, going downhill was as challenging as going up! 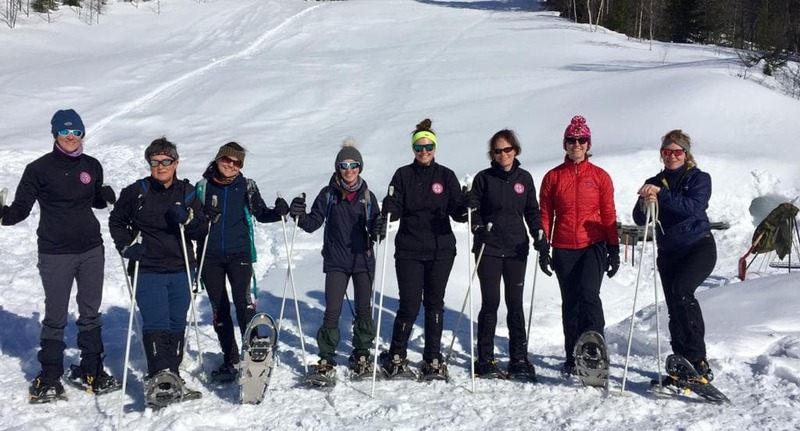 As one member put it “what a fantastic opportunity to overcome the challenge of facing a new skill, to mentally refocus, and master military cross country skiing”. Having done two thirds of the route, we were in need of a break. However, morale was high, as we felt we had broken the back of it. We continued on our way and made steady progress for the remaining 5km. The final 400m was a horrific zigzag downhill stretch of hard snow, on which some nasty falls occurred, before a final fast schuss to the cabin. Thankfully, other than a few bruises and some blistered feet, there were no serious injuries. That evening we were able to enjoy a lecture from a local expert on Ops Grouse and Gunnerside. Having skied part of their route, we empathised with the saboteurs and understood the extraordinary challenge they faced. Tor Nicolayson, our host and lecturer, knew all the saboteurs well, and was passionate about keeping alive their story. Wednesday was survival day. We learned how to dig a snow hole, first measuring the depth of the snow with a pole, then digging in first down and then up and sideways. 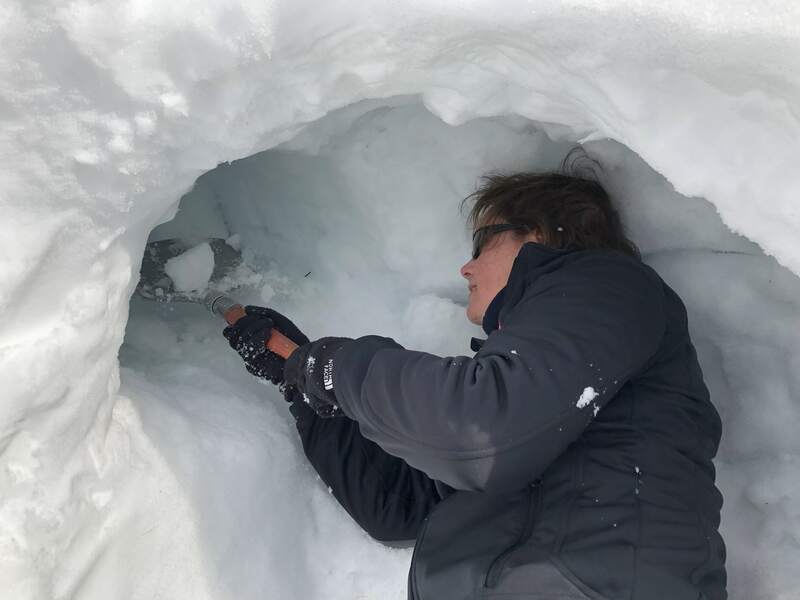 It was an exercise in teamwork, and one where steadiness paid off, as fast digging would result in us becoming too hot, and then fatally cooling down after some time in the hole. 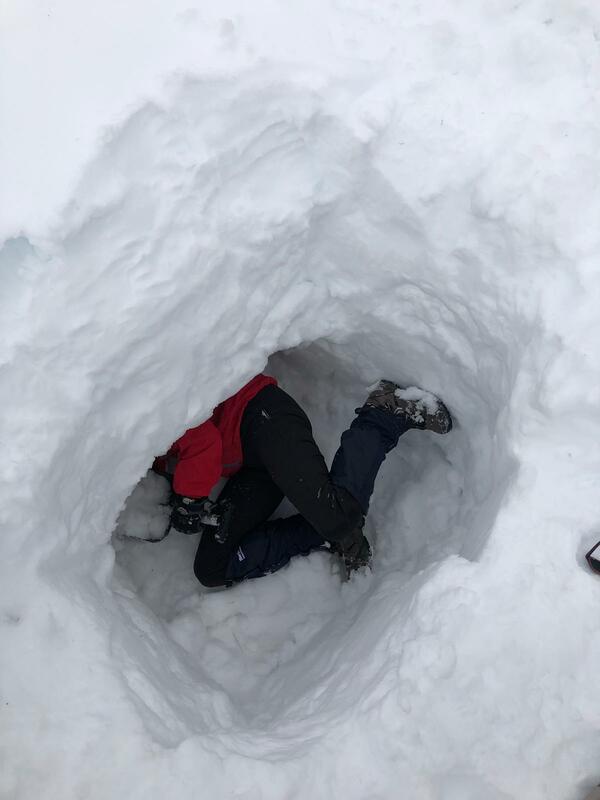 In actual fact, our enthusiastically dug holes would have been a challenge to sleep in, as the snow wasn’t quite deep enough for a full size shelter. However, in an emergency, all would have been adequate. After lunch al fresco beside the snow hole, we put on snowshoes, and went for a hike through the woodland in deep drifts. Thursday was our last day on skis. In the morning, we re-visited part of the saboteurs’ route, making it more challenging by skiing across country and cutting our own tracks. It was especially beautiful, as we glided through a grove of small birch trees and across a gently sloping white snowfield. All the time, we were passing little snowbound hyttes, imagining ourselves sheltering in them as the saboteurs did. In the afternoon, Rear Admiral Jørgen Berggrav, NROF Secretary General joined us to watch a team relay race on snowshoes and sledges. Then we went to visit the power plant at Vermork, where we saw the original hydroelectric station, and the actual location of the heavy water plant. The gorge was deep and precipitous, leaving us in no doubt of the immense courage and physical endurance of the saboteurs. A presentation ceremony followed before cleaning the wax off the skis and handing them back to the Army. The day finished with a hearty supper of reindeer and a sing-song with Ragnar, the instructor. Friday was spent packing up before returning to Oslo, to a fascinating tour of the British Embassy. The following day, our last in Norway, we visited several museums including the Resistance Museum and one of which was opened especially for us by the NROF. The Exercise concluded with a celebratory meal after a sauna and a swim in the fjord for the foolhardy few. We are extremely grateful to the Ulysses Trust for helping to finance this exercise – without your support, many members would not have been able to take part. Norway is very expensive.